Together died, a triad of beloved friends. Revives you Linus and transfers your life. Filling your words, and an attendant at your death. 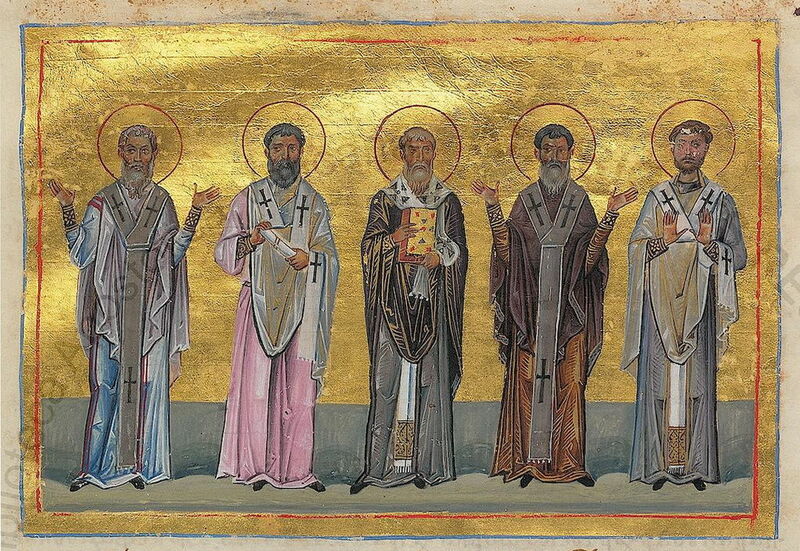 These were among the Seventy Apostles of Christ. The divine Apostle Paul refers to Patrobas also in Romans 16:14: "Greet Patrobas." He became Bishop of Pottole, which is a city in Naples of Italy, and there he baptized many unbelievers. Gaius is mentioned in Romans 16:23: "Gaius my host, and of the whole church, greets you." He became Bishop of Ephesus after Timothy. Philologos is also mentioned by Paul in Romans 16:15: "Greet Philologos and Julian." 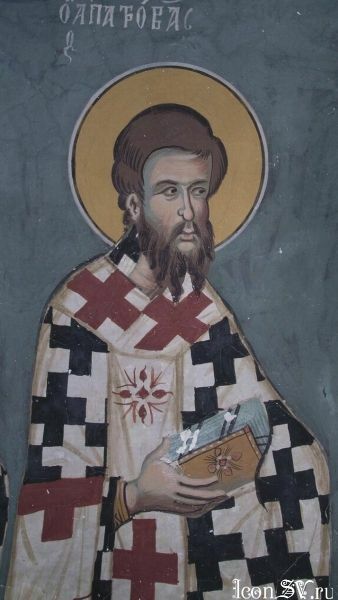 He was made Bishop of Sinope by the First-Called Apostle Andrew. All of these Apostles served as Bishops of above-mentioned cities and regions, faced many temptations, and endured tribulations on behalf of piety, bringing many unbelievers to the salvation of Christ, and reposing in the Lord. * This Hermas is to be distinguished from the Apostle Hermes, who is celebrated on April 8th and also mentioned in Romans 16:14. Hermas was the author of three spiritually beneficial books: first was The Church, second was The Shepherd, and third The Ten Parables. His primary feast is celebrated on March 8th. 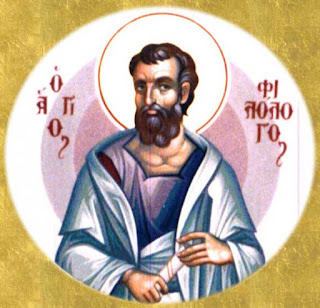 ** The earliest witness to Linus's status as bishop was Irenaeus, who in about the year 180 wrote, "The blessed apostles, then, having founded and built up the Church, committed into the hands of Linus the office of the episcopate" (Against Heresies 3:3.3). Linus is presented by Jerome as "the first after Peter to be in charge of the Roman Church" ("Post Petrum primus Ecclesiam Romanam tenuit Linus" -Chronicon; 14g) and by Eusebius as "the first to receive the episcopate of the church at Rome, after the martyrdom of Paul and Peter" (Church History 3.2). John Chrysostom wrote, "This Linus, some say, was second Bishop of the Church of Rome after Peter" (Homily 10 on Second Timothy). The Apostolic Constitutions denote that Linus, who was consecrated by Paul, was the first bishop of Rome and was succeeded by Clement, who was ordained and consecrated by Peter (Apostolic Constitutions 7.4). 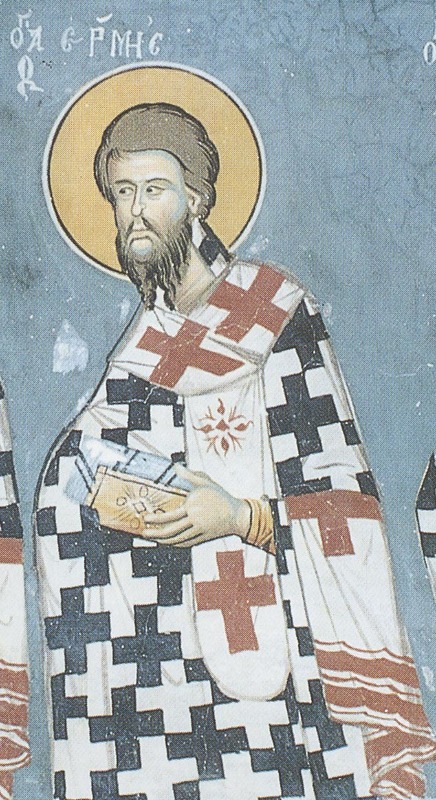 Cletus is considered Linus's successor by Irenaeus, and the others cited above, who present Linus either as the first bishop of Rome or, if they give Peter as the first, as the second. The Liberian Catalogue and the Liber Pontificalis date Linus's episcopate to 56–67, during the reign of Nero, but Jerome dates it to 67–78, and Eusebius puts the end of his episcopate at the second year of the reign of Titus (80). In 2 Timothy 4:29, Linus is noted as being with Paul in Rome near the end of Paul's life. Irenæus stated that this is the same Linus who became Bishop of Rome, a view that is generally still accepted. Holy Apostle Philologos of the Seventy, entreat the merciful God, to grant our souls forgiveness of transgressions. 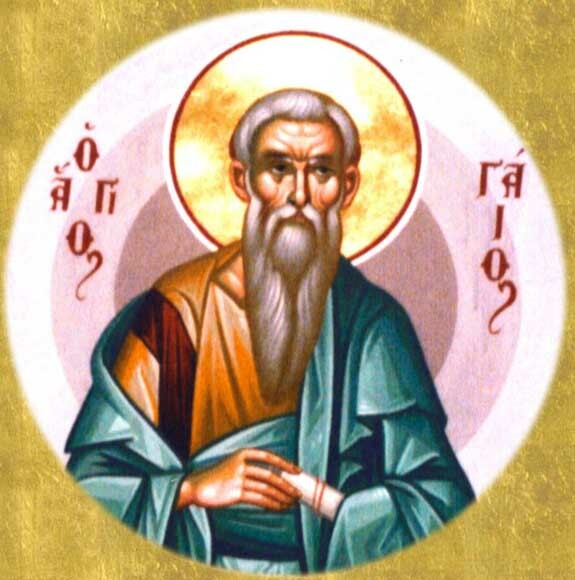 The Church ever sees you as a shining star, O Apostle Philologos, your miracles have manifested great enlightenment. Therefore we cry out to Christ: Save those who with faith honor Your Apostle, O Most Merciful One. Like stars, O holy Apostles, you illumine the way of the faithful with the light of the Holy Spirit. You dispel the darkness of error as you gaze on God the Word.